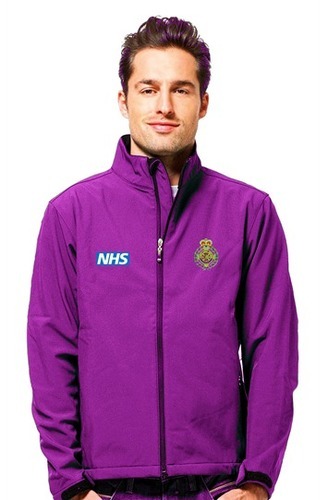 The new standardised purple uniform for use by UK ambulance trusts rolls out today. The Paramedic Uniform Committee of England (PUCE), which was formed last year, will monitor the success of the core uniform, assist in the development of future specifications, seek out opportunities for standardisation and rationalisation and work with fashion houses across the UK to source matching magenta accessories for the new kit. He added: “We received a lot of feedback from ambulance staff who were concerned that the traditional dark green uniforms were too boring. “Our focus groups studied the effects of various uniform colours on staff-public relations and while pink and lemon-yellow were popular, purple was the outright winner. Orange would have been good, but HEMS nabbed it years ago. “Purple symbolizes magic, mystery, dignity, royalty, and now pre-hospital emergency care. It says ‘I know what I’m doing, I’m in control, but I’ve still got style’.